video about how to calm a crying baby, comes a one-of-a-kind resource to guide you through the earliest moments of your child’s life—and help you to parent with common sense and confidence. Robert Hamilton, M.D., has been a pediatrician for more than 30 years and is the founding member of Pacific Ocean Pediatrics in Santa Monica, California. In 1998 Dr. Hamilton founded Lighthouse Medical Missions, and has lead 22 medical mission teams to Africa. Dr. Hamilton and his wife Leslie are the proud parents of six children and delighted grandparents of six grandchildren. 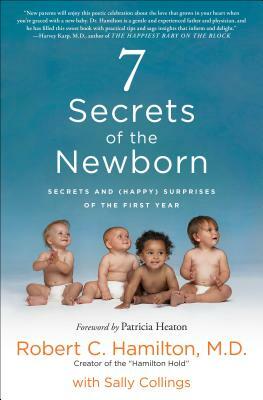 He is the author of 7 Secrets of the Newborn. “As a doctor, I have rendered intimate advice to countless numbers of parents and patients. I have seen a lot. I’ve seen what works and what doesn’t work. I’m here now to share the secrets I have learned along the way.” —Robert C. Hamilton, M.D.